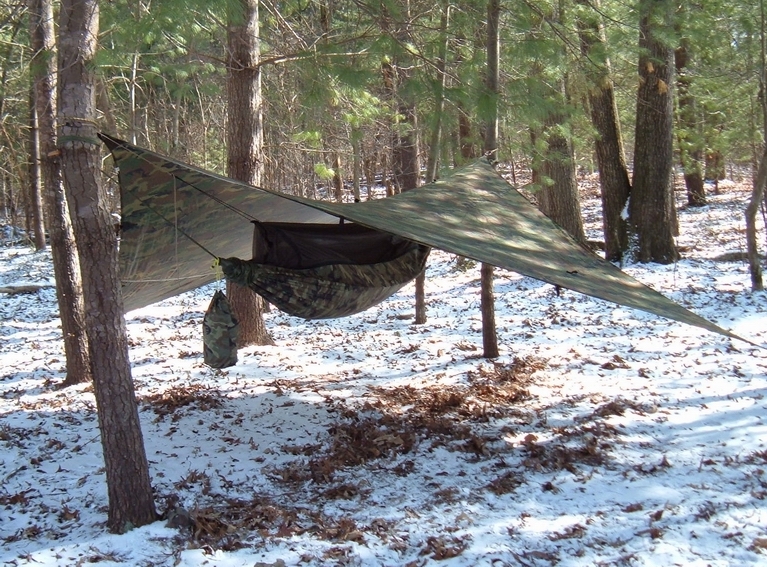 Undoubtedly, the most reliable and tested Jungle Hammock in the world -- our Jungle Hammock is used by the Foreign Legion in French Guiana, the Italian Marines, the South African Defense Force, the British Special Forces, Irish Guards, Queens Guards, Navy SEALS, and American Special Forces all over the world. We use the finest materials and coatings, so the hammocks will perform in the most trying environments for 5 years or longer. 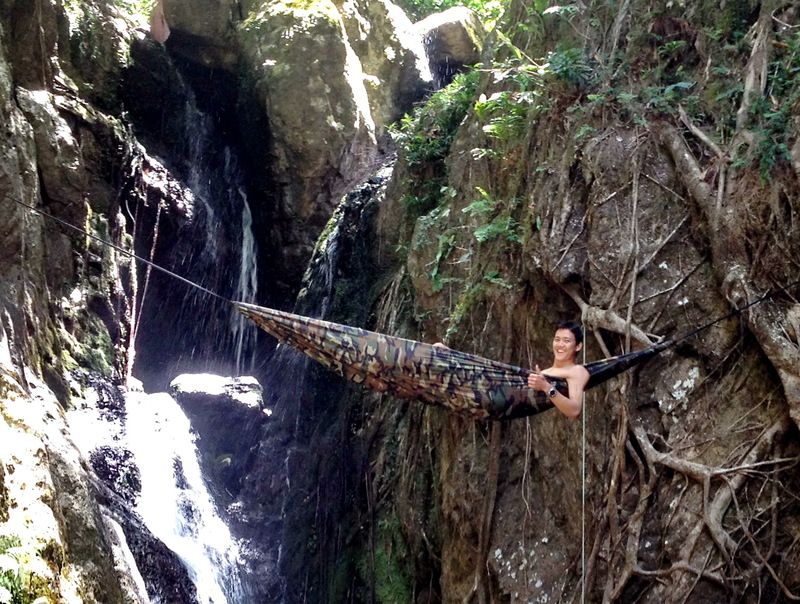 The Jungle Hammock is designed for extreme wet jungle climates. We use rip-stop reinforced waterproof nylon in Olive Green or Camouflage. 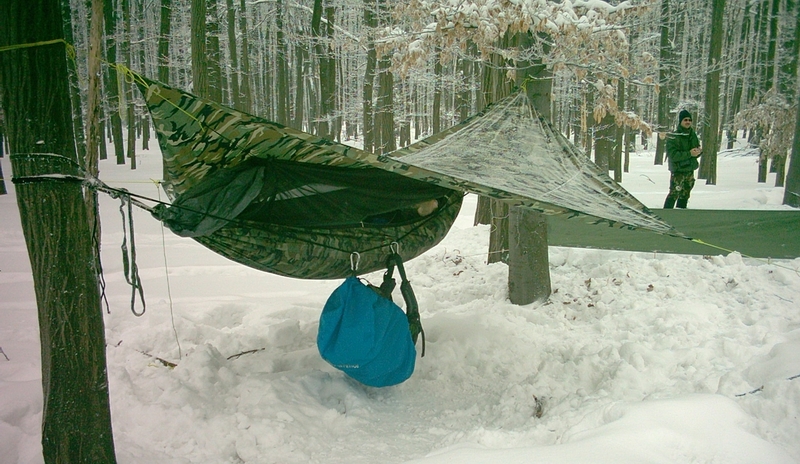 The Hammock is 100% waterproof, and there is a double bottom layer to slide a foam pad in for snow and winter camping. 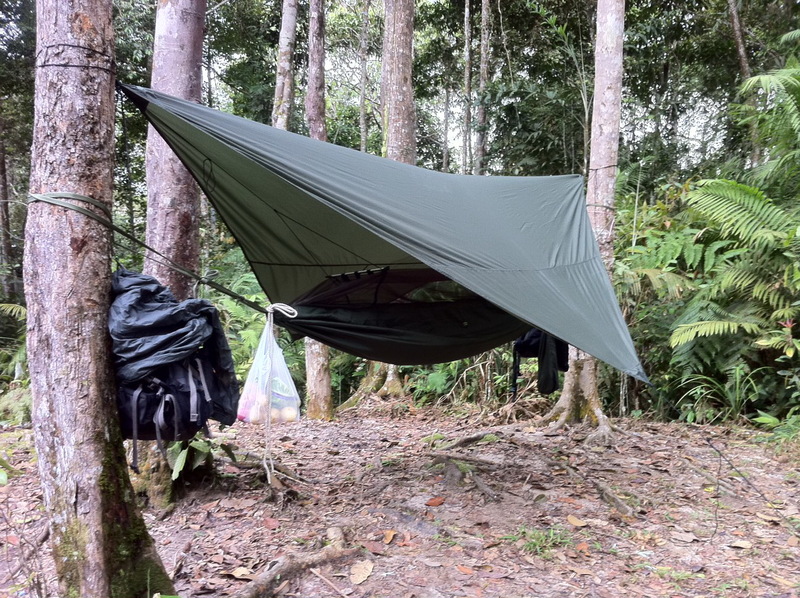 Longer, stronger and heavier than the Expedition Hammock, the Jungle Hammock can handle taller and heavier people (up to 350 pounds or more). 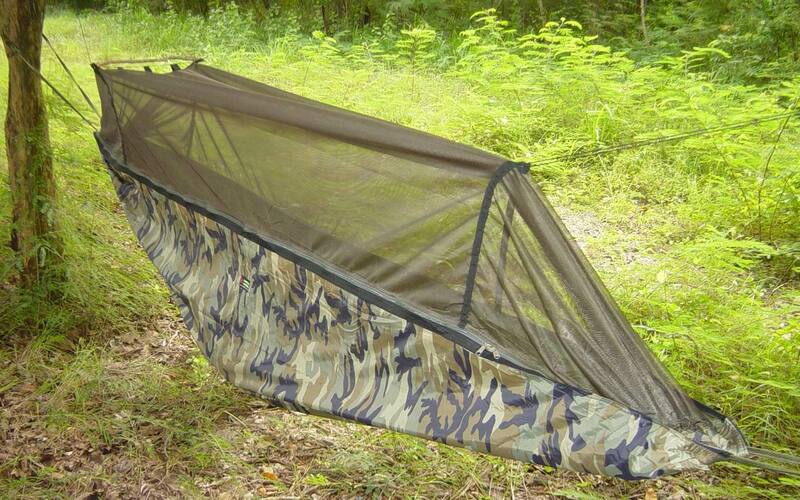 The Diamond shaped Rain Fly Sheet has 4 reinforced attach points and comes with 4 lines. Elastic cords hold the mosquito netting away from your face. This is the finest hammock that you will find anywhere, and it is the most comfortable hammock that you will find anywhere. The comfort comes from our inner layer and the special cut of the hammock, that allows room for your shoulders as you sleep. Many hammocks cramp your shoulders and do not support your body. Also, you will appreciate the roomy space inside the netting that does not make you feel claustrophobic like other hammocks. Inside, you will find hanging loops for lights and gear, and a mesh pocket for important items that you would need in the dark. 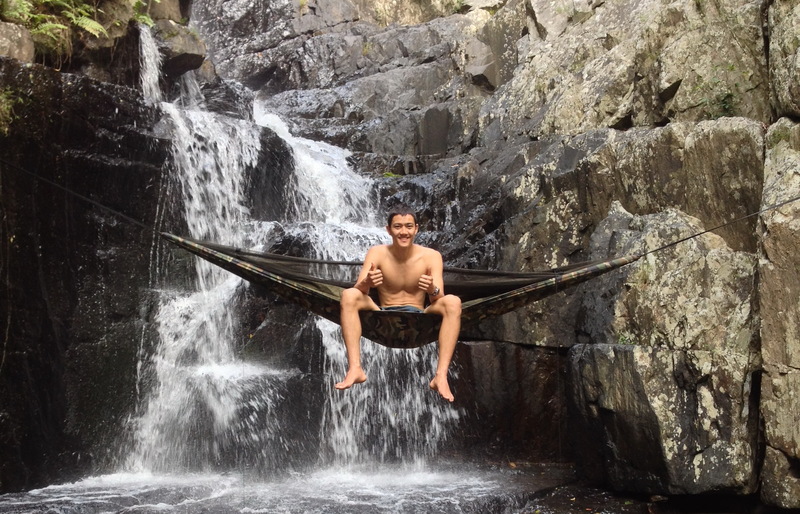 Our hammock is the best selling mosquito-proof and insect-proof Hammock in the world. 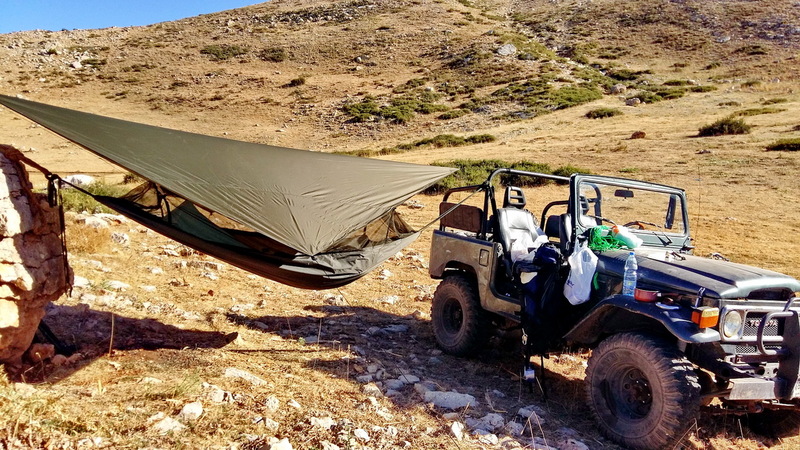 If you don't need the mosquito netting, then just flip the hammock over and sleep on the other side (with the netting hanging down below). The hammock comes with two 12 foot long (1/2" nylon web) straps. It is important to use the Correct Knots in hanging the hammock. 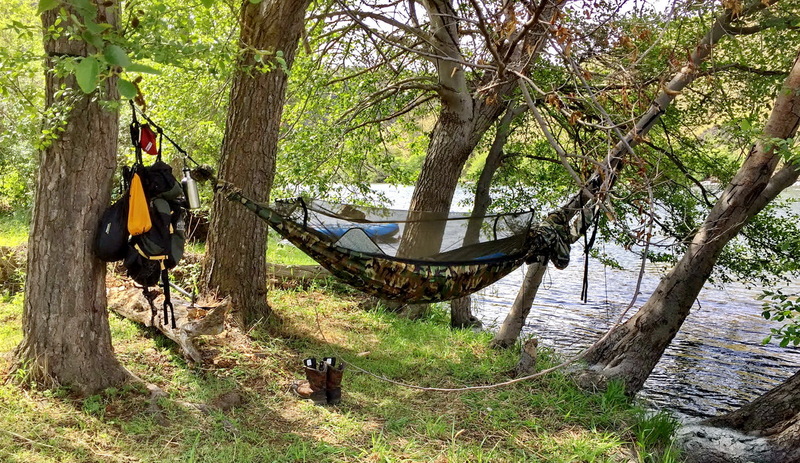 The ends of the hammock are reinforced for the strap to pass through, and these straps can easily be slid out and replaced by a longer rope if desired. 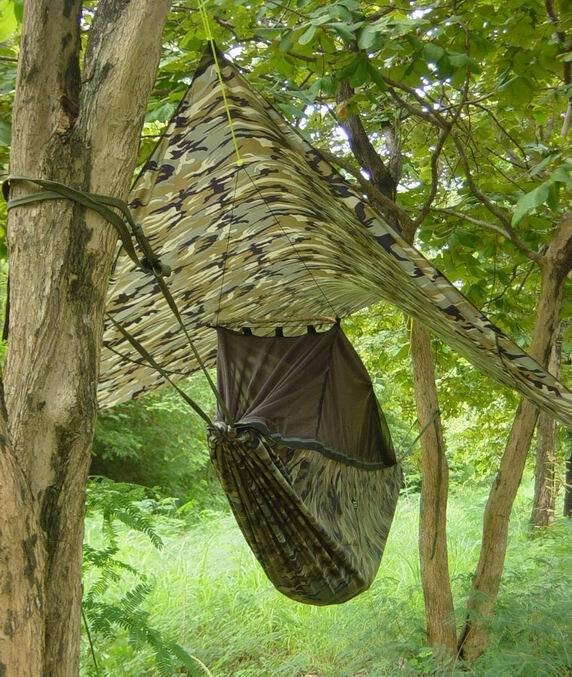 This hammock can also be used on the ground or on your bed as a personal "mosquito tent" if you don't like sleeping in hammocks (or if there are no trees nearby). It also very useful for keeping out snakes, scorpions and everything else while you sleep. The lines can attach to a tree branch or a stick to hold up the netting away from your face. We use a sturdy YKK zipper which you can open from the inside or the outside. The Jungle Hammock is Extra Long and Extra Strong. The dark colored netting is very fine mesh which is easy to see out of. It will keep out mosquitoes, no-see-ums, and black flies, and the elastic cords will keep the netting away from your face and body. In many countries of the world, with different types of resistant malaria, sleeping sickness and dengue fever, the best prophylactic is "not to get bitten." 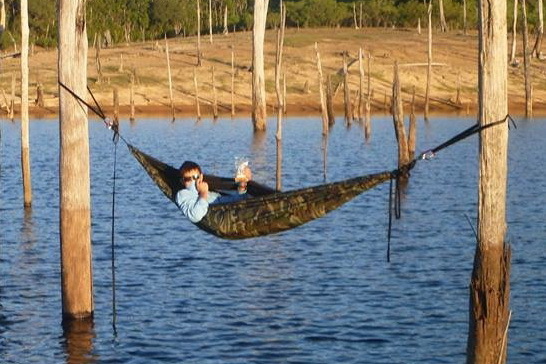 This hammock is designed to keep you from being bitten from insects and prevent disease. If you have any questions, please email me -- TOM Color: Camouflage or Dark Olive. Stuff Sack: Camouflage or Dark Olive. Material: 244 ripstop Nylon. Hammock Dimensions: 300cm long x 125cm wide (9' 9" long x 4' wide). Comfortable for a person up to 7' 5" and 350 pounds. Rain Sheet Dimensions: Diamond shape - 400cm long x 300cm wide & 250cm along each side (13' long x 10' wide). Stuff Sack Dimensions: 30cm high x 8cm wide (13" high x 6" wide). Weight: 1.8kg. (4lbs.) 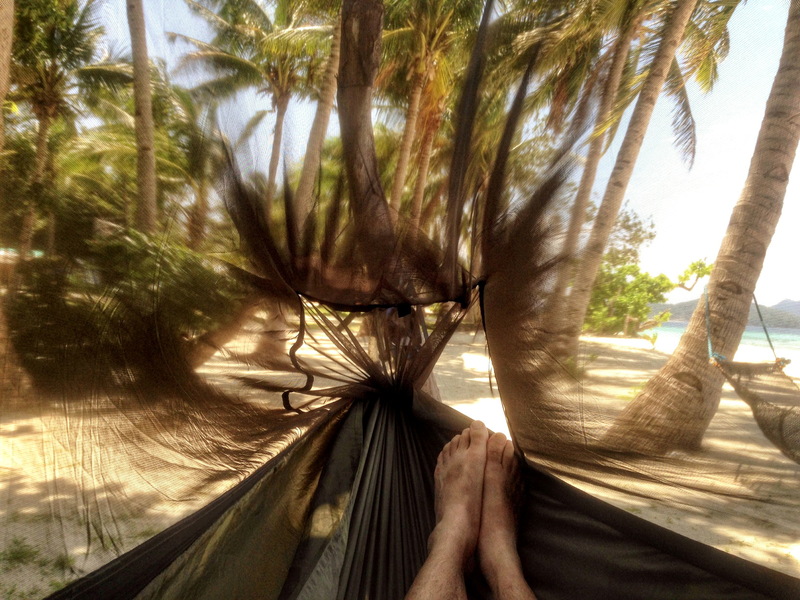 for Hammock & Fly. Stuff sack contains Jungle Hammock and Diamond Fly with Elastic Net Lines and Nylon Lines for the Diamond Fly. 1/2" Nylon Web Lines (12' long) will not damage trees, and Hammock Ends with reinforced stitching will not wear out. The elastic lines draw the mosquito netting taught. You can insert any stick on the ground in the nylon loops. We use sturdy YKK zips to open and close the mosquito netting on only one side to save on weight. 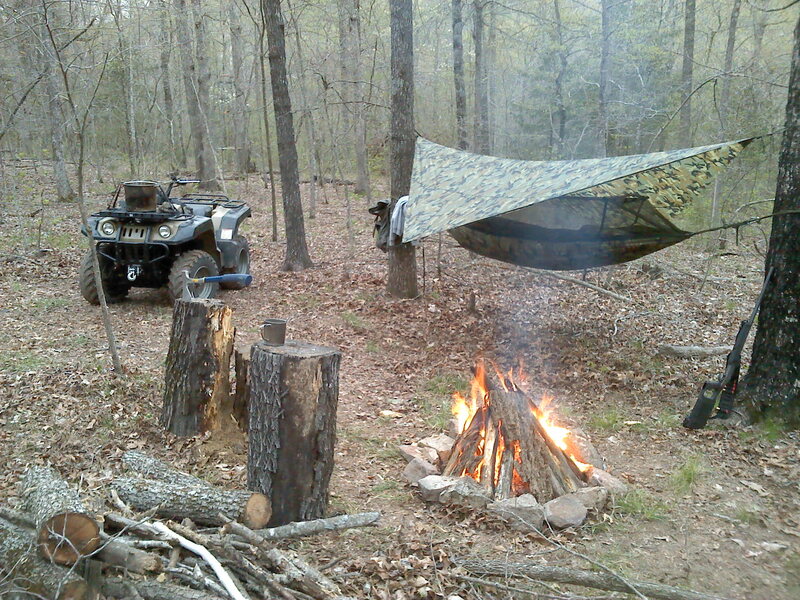 The Hammock can be used on the ground. There are internal loops and mesh pocket for stowing gear. The Diamond Rain Fly comes with 4 lines for the 4 attach points. There is also an additional long line as a spare. The attach points on the corner of the Rain Fly are reinforced with nylon web, and we suggest you use a double sheet bend for attaching the line to the Rain Fly loops. Double Sheet Bend Knot. 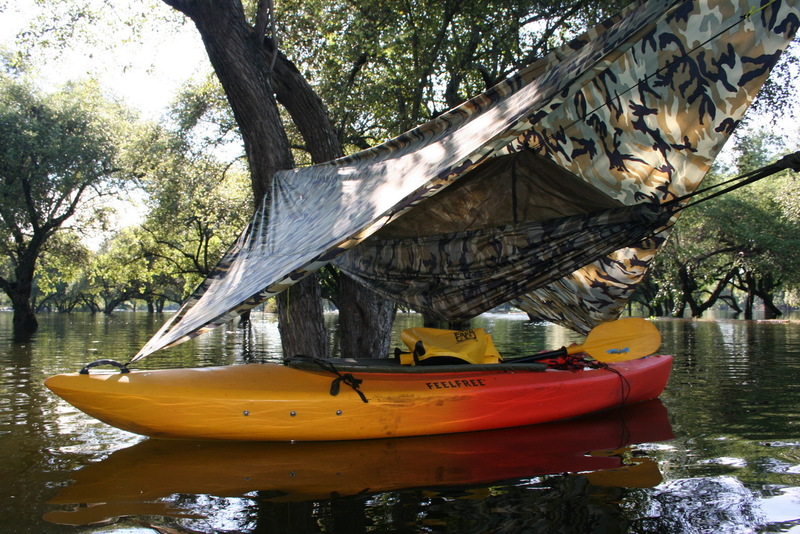 The Diamond-shaped Rain Fly Sheet is made of waterproof Ripstop Nylon (210T) and provides the maximum rain shelter with the minimum amount of material. This rain sheet only has 4 attach points, so that you can tie two lines to the tree and then the other two lines you can stake out perpendicular to the hammock. The rain sheet extends 50cm. beyond each end of the hammock. You can tie a knot in the line for the rain to drip from, so that it does not run down the line to the rain fly, or you can install a metal ring on each loop for the line to attach to. When the water drips down the line to the metal ring, the water will drip off the ring and not under the rain fly. If you want more information on mosquitoes, please try www.zapmosquitos.com/mosquito. Hey Tom, I purchased the Jungle Hammock about a year ago. I have tent camped, used a bivy and sometimes just a mat. I have two steel rods in my back from a car accident about four years ago and ground camping in remote areas leaves me tired in the morning with an aching back. Your hammock has changed all of that. 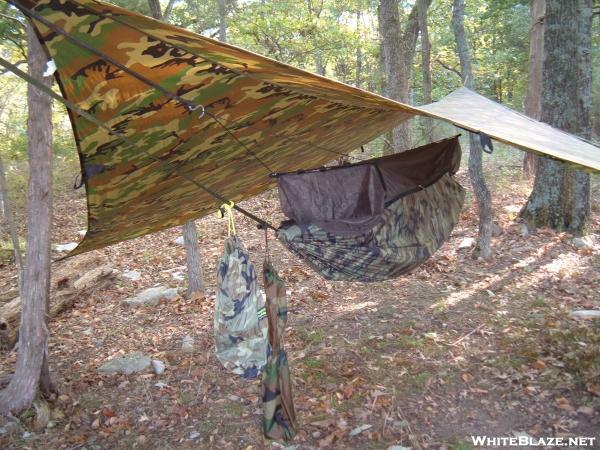 I now can sleep very well over rough ground or anywhere and have no problems in the morning. Just the other night I was out in very strong thunderstorms and heavy rain - I was totally and completely dry the whole night. This product is very well made. The sleeve for a sleeping pad is a great design idea, it works to help provide insulation and keeps the bugs from biting through at night. I now am able to enjoy the outdoors again in total comfort. All I can say to anyone reading this is buy this hammock. It will be the best money you have ever spent on outdoor gear period. 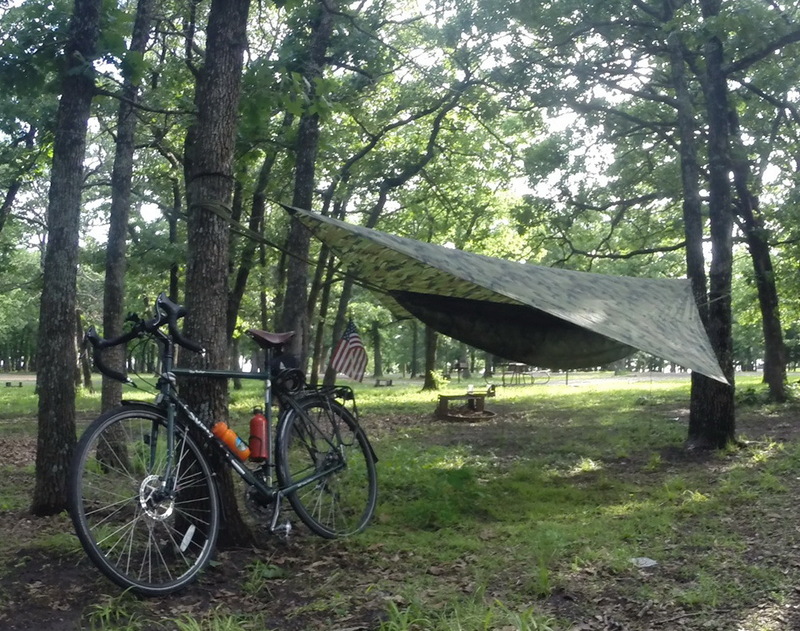 Nate Friedl (June 2009) -- Jungle Hammock Review -- Comments from our customers. Mosquito Hammocks are for traveling lightly, so we suggest that you consult OneBag -- as the art of traveling lightly is knowing what not to take.